2018 Golden Spin of Zagreb, the final event of the Challenger Series, takes place Dec. 5-8. 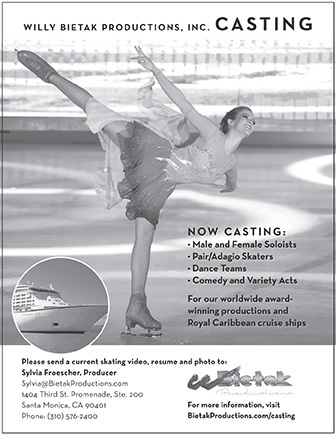 This competition coincides with the Grand Prix Final and many skaters who are not heading to Vancouver will be in Croatia. The event boasts the most entries in all disciplines of the 10 competitions that comprise the Series. In total, 66 singles skaters and 24 teams are slated to compete: 26 men, 40 ladies, 10 pairs and 14 ice dance teams. Three U.S. ladies are slated to compete: Bradie Tennell, Mariah Bell and Megan Wessenberg. Tennell and Bell are the highest-ranked competitors in the field and should capture the top two steps of the podium. Russia′s Anna Pogorilaya was scheduled to make her return to competition in Zagreb but her name was removed from the list in late November. The men′s event will be a Russia-U.S. showdown with Mikhail Kolyada and Alexander Samarin squaring off against Jason Brown. Daniel Samohin and Alexei Bychenko of Israel are on the roster as is Latvia′s Deniss Vasiljevs and Alexander Majorov of Sweden. Filipino representative Christopher Caluza, who has not competed since 2013, is slated to make his comeback at this event. Look for a showdown between two U.S. pairs teams — Alexa Scimeca Knierim and Chris Knierim and Ashley Cain and Timothy LeDuc — and Russia′s Alisa Efimova and Alexander Korovin who are the first alternates for the Grand Prix Final. Canada’s Piper Gilles and Paul Poirier headline the ice dance field and will easily score a runaway victory at this competition. Poland′s Natalia Kaliszek and Maksym Sppodyriev are the next top-ranked team in this wide-open field.